Learn a little about hippos and enjoy our collection of printable hippos activities (crafts coming soon) - including colouring pages, jigsaws, worksheets, posters and more! The hippo - or hippopotamus - is one of the larger African animals. They live near water because they need to be able to sink under the water to keep them cool and hydrated and protect them from the sun. If there isn't enough water, they will happily wallow in the mud instead! A hippo is never happier than when submerged in a gently moving river. Although they look big and cumbersome, they can move surprisingly quickly on land. They most of the day in water, but they can't swim! Instead they bob off the bottom, or walk along the bottom of the river on their toes! Hippos might look cute but they are extremely dangerous and aggressive. Their canine teeth can reach 20 inches long (50 cm) so you wouldn't want to get bitten by one! They can kill people, but usually fight amongst themselves. Hippos live in large groups, from 10 to 100 or even 200! Each group has a dominant male and there are often clashes between the other males in the group. 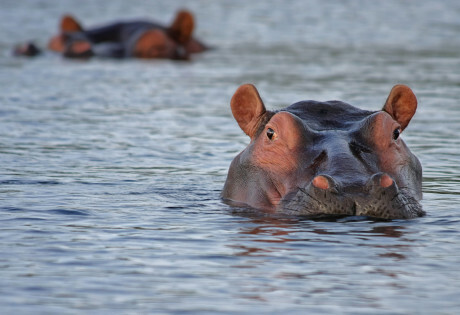 The word "hippopotamus" comes from the Greek and means "river horse". The plural of hippopotamus is hippopotamuses - which is a fun word to say out loud! Hippos can breathe for up to 5 minutes at a time under water. They can sleep under water, too, as they have an automatic reflex that bobs them up to the surface to take a breath without waking up! 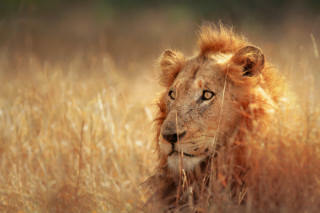 The dominant male marks his territory by flinging his dung (poo) far and wide with his tail! Younger children will love this complete the picture activity featuring a very happy looking hippo. Nice simple outlines make it easy to complete the top image by copying the one below. Our lovely hippo acrostic poem printable will help children feel pride in their poem work when they see it presented nicely. We have four versions, some of which make great writing frames too. Get children practicing their pencil skills with our gorgeous, happy, hippo colouring page. Animal fans will love this printable hippo door sign. This hippo has a really simple outline, making it an excellent introduction to our grid copy puzzles. Copy the picture on the left onto the grid on the right, square by square. This hippo lacing card has a nice easy outline making it perfect for young children to try. Lacing is a great way to increase fine motor skills which are so important when learning to write. Instructions to make the card are printed on the page. How cute is this hippo lacing card? With a simple shape making it easy to follow the outline this hippo lacing card is the perfect lacing card to start with. Print out this lacing card of a lovely hippo, then punch holes around the edges and either sew or lace with a shoelace or wool. Laminate for extra strength and if you wish to reuse. This hippo is so cute he is sure to inspire children to come up with a character for him to write about! Our hippo story paper comes in two versions, lined or with handwriting lines for younger children. Isn't this hippo template lovely? He makes a great writing frame, and he also looks lovely cut out of scrapbook or coloured paper. This hippo writing page is designed to get children writing reports. However it could be used for story writing or many other projects. We have a colour or a black and white version to chose from. With a choice of lined, handwriting or blank versions, this hippo writing paper has so many uses. I think it would be lovely for a chatty letter as that hippo looks just like they are chatting away to me! Children can write up their research into these surprisingly dangerous creatures on one of our hippopotamus writing pages. We have two to chose from; one with space for a diagram and one all lined. 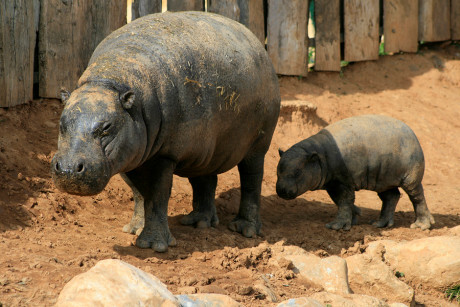 The photo is of a parent and baby pygmy hippopotamus. Perfect for encouraging research skills, our hippopotamus worksheet asks children to find out some facts about these African mammals. There is a sweetness about the little hippos scene on this colouring card that will surely make it appreciated by any receiver! Fun for the kids to colour, too. Featuring a mother and baby hippo at the watering hole, this cute hippos scene colouring page will have children reaching for the crayons. Describe the scene or write a picture on our hippos scene story paper. Chose from lined or handwriting lines to suit the child.